Here is another reason for basketball fans in the Philippines to rejoice. The current best player in the world is scheduled to visit the hoops crazy country this month. 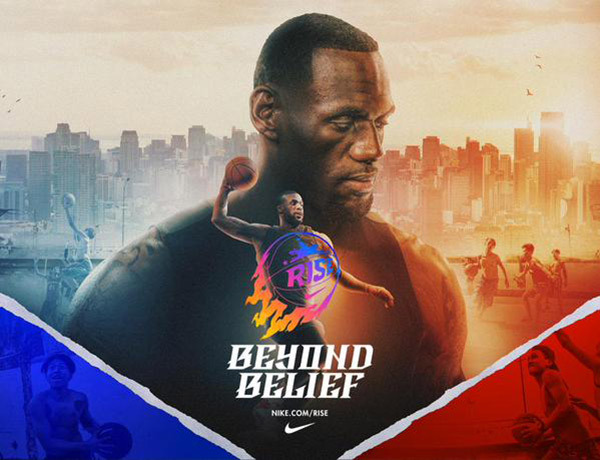 According to a tweet by Nike Philippines, 2-time NBA champion LeBron James is headed to Manila to inspire Team Rise and take basketball in the Philippines to the next level. He is reported to arrive on our shores on August 19. The 30-year-old basketball superstar, who currently plays for the NBA team Cleveland Cavaliers, is here to bring inspiration to the talented kids who made it to the next round in the sports-reality show RISE Philippines which airs on TV5. These kids will have the opportunity to train, play and develop their basketball skills with the help of legendary coaches and players. LeBron is hoping to give some tips and pointers to the remaining 20 hopefuls with his experience playing in the world’s premiere basketball league, the National Basketball Association. The program, which is held at the House of Rise, is aimed towards getting young and talented players and teaching them the fundamentals of basketball and helping them train to become world-class basketball players. Starting with 24, only 12 entrants will remain at the conclusion of the event that includes an exhibition match against a team selected by NIKE and the Associated Coaches headed by coach Chot Reyes. LeBron James is the second NBA player to participate in the undertaking. Indiana Pacers superstar Paul George was the first to join the masterclass.